Boris Lermontov: Why do you want to dance? Victoria Page: Why do you want to live? 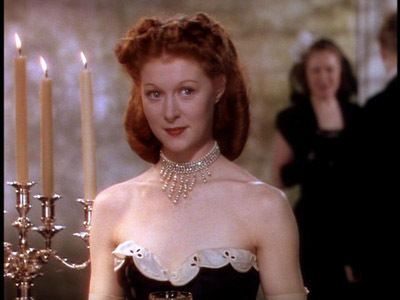 Moira Shearer was herself a ballerina in whom we find a wonderfully gifted dancer who can act! A cinematographer’s dream! Jack Cardiff (one of the greatest cinematographers of all-time) was able to film the ballet scenes in a very intimate fashion because Shearer was the one dancing and not a double. From the moment we meet Victoria Paige at an after party, we are taken in. The first thing that catches the eye is of course what appears to be a fire burning atop Victoria’s head (her hair), but then we see the dazzling diamonds that rest softly on her neck, and her dynamite blue eyes. Boris Lermontov (who runs a major ballet company and is played by Anton Walbrook) offers Victoria the opportunity to work with one of his company’s productions after he sees her give a mesmerizing performance at a 2nd rate theater. 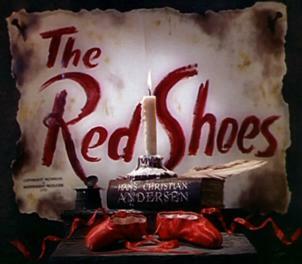 After Victoria becomes more involved in the company, Lermontov decides to put on a production of “The Red Shoes,” based on the fairy tale by Hans Christian Andersen of the same name, and offers Victoria the lead role. He also asks up-and-coming composer, Julian Craster (Marius Goring), to create an original score for the ballet. Amid the constant preparation and rehearsing, Victoria and Craster fall in love. Innocent, and even childish to a degree, the relationship is eventually discovered by Lermontov. As a perfectionist when it comes to ballet (he describes the art form as a religion), Lermontov disapproves of the relationship because he fears it will distract Victoria from giving a great performance; he also begins to show a growing, possessive attraction to her. About halfway into the film, “The Red Shoes” is performed in what many consider the greatest ballet sequence in film history. It’s hard to argue with that description as Victoria Paige floats effortlessly across the stage under the illuminating spotlight. 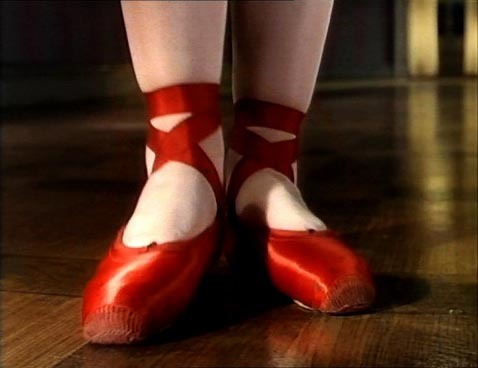 The film’s actual “red shoes” are ballet shoes of a stunning red reminiscent of Dorothy’s slippers from The Wizard of Oz, which are presented with the raising of the curtain. The sets are wonderfully crafted and Cardiff captures them magnificently; making the dancers and the sets function as extensions of each other in what becomes a living, breathing performance. After Victoria puts the shoes on during the performance, I found myself in an attention conflict. My eyes kept flipping back and forth between Victoria’s vibrant shoes and her gleaming hair. Following the successful performance of “The Red Shoes,” the friction between Victoria, Lermontov, and Craster comes to a head as Lermontov fires Craster in an effort to maintain his control over Victoria. This prompts Victoria to quit the company in order to stay with Craster and eventually get married. But Lermontov does not allow this to keep him from her. Some time down the road he offers Victoria the opportunity to dance “The Red Shoes” again. She is torn between her love of Caster and her desire to perform at the highest possible level. One cannot help but notice certain similarities between, The Red Shoes, and the recent film, Black Swan, in their depictions of mentally torn ballerinas. But don’t expect to see anything as disturbing as some of the sequences in Black Swan. The Red Shoes does a great job of making the viewer have an emotional response without any grotesque imagery. That being said, prepare yourself for the film’s suspenseful climactic (perhaps slightly graphic) sequence at the end. The life of Victoria Paige has many parallels with the story and performance of “The Red Shoes.” The film is wonderfully done in that it reveals more of the story as Victoria’s life develops. 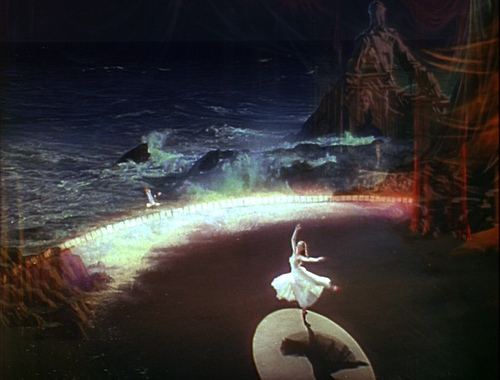 The Red Shoes is a cinematic amusement park; a Technicolor dream, and one of the finest examples of how film, dance, and music can be combined to make something truly memorable. *They offer three compelling reasons to watch certain films. These are the ones they have chosen for The Red Shoes. Jerry, great review. Another one to add to my netflix cue. BTW, don’t forget to link to sites when you mention TCM, or actor’s bios, etc. It’ll lift you in the google search engine, which would be great. 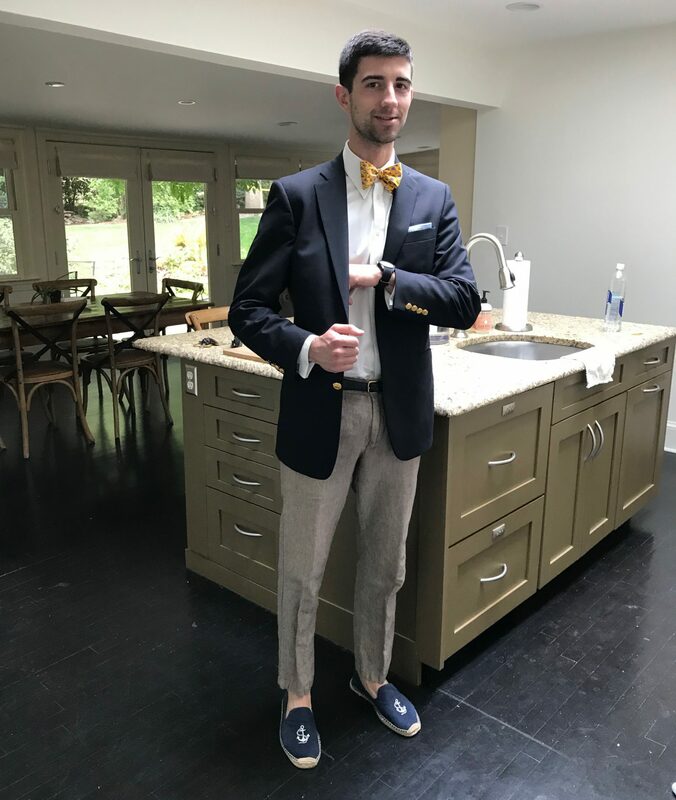 More people should come to this site.